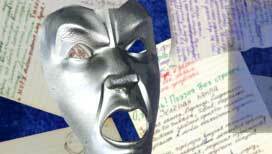 On this site you can read plays, sketches, verses, articles about theatre and nearby. You can see playbills, posters and booklets of the Tambov theatre (Russia), and also find something interesting about theatre, theatrical design, advertising or just about the process of creativity. Yours faithfully, the author of a site, and also the actor, the playwright, the director and designer Andrey Kruzhnov. This site is update as new materials and fresh ideas come to a head of its founder. 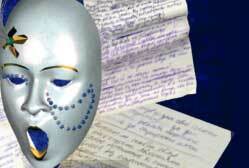 All works presented on this site is Andrey Kruzhnov's author products.